Welcome to your new home! 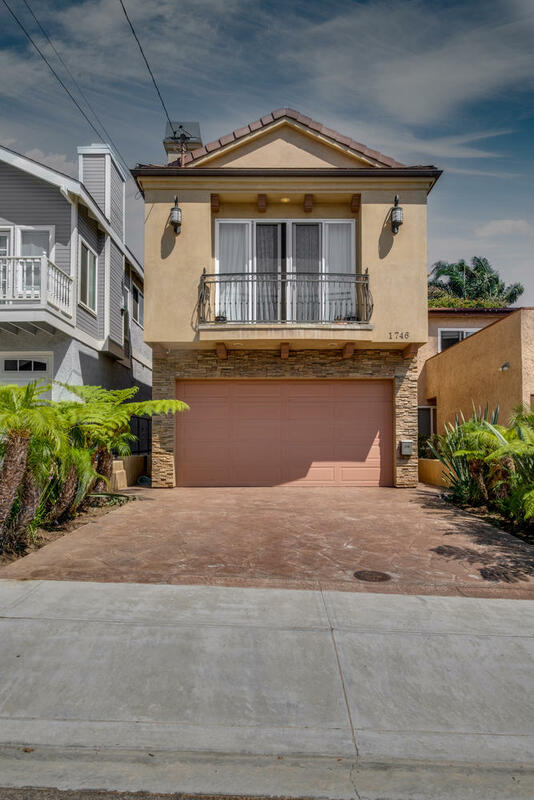 1746 Dixon Street is move in ready in the highly sought after Golden Hills neighborhood of Redondo Beach. This home has many recent upgrades within the past year, including new Mohawk SmartStrand carpeting in all bedrooms, new KitchenAid appliances including dishwasher, refrigerator, built-in microwave, and range, and fresh interior paint. Other luxuries include granite countertops in the kitchen and bathrooms, white oak flooring, central-vacuum, gas fireplace, surround sound speakers, and custom built-in cabinetry. Downstairs you will find two large bedrooms with built-in closets, one full bath, and plenty of storage space with custom linen cabinets and hall closet. As you proceed upstairs, you will be impressed by the spacious living room with vaulted ceilings, custom built in desk, and large west facing sliding glass doors that allow the ocean breeze to flow through the house. Upstairs you will also find the large master suite, with walk in closet.